As a gardener I love curved lines rather than straight (a debate I have had with my husband many times, he preferring straight, tidy lines). Of course being the "chief gardener" I always win out. So my garden has curved edges and my plants are allowed to grow a little haphazardly - no tightly trimmed bushes here. This love of curves has transferred to my mosaics - I have mosaic balls on poles, curved mosaic edging and wavy lines on mosaic walls - all in the garden. My latest addiction is with circles - I am spending hours drawing them, thinking of ways of incorporating them into my mosaic designs and looking for inspirational pictures on the web. 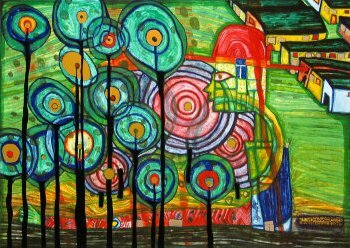 I have always loved the curves drawn by Friedensreich Hundertwasser - simple but beautiful. I also love the primary colours so I'm thinking of a circular mosaic using yellow, red and blue. I do need a path from my car parking area to my deck (this has been on the list for some time) so perhaps a wavy pattern incorporating circles leading the walker to their destination. I'll keep you posted. What design elements do you enjoy and love to use in your creations? Please share your thoughts with us - I'll post all replies in the next newsletter. Let me entertain your child and their friends on their next birthday. I'll bring all the equipment and guide the kids through the creation of their own masterpiece. Parties last 2.5 hours and everyone will have a great time exploring their creative side. 2. I bring all the materials (several bases to choose from and a wide range of ceramic tiles, glue, aprons). The bases include hearts, fish, crosses, mirrors or a simple tile that can be designed as a plaque to hang. 3. I will guide the party goers through the process so that they all make their own unique mosaic masterpiece. 4. I take the pieces home to leave overnight to dry and then the next day I grout them, polish them, put on a hanger and package them up to deliver back to you so you can hand them out to the party participants. 5. You just need to provide a table large enough for the party goers to sit around – they don’t need a lot of space – covered with newspaper or an old table cloth. 6. The cost is $320 for up to 8 children (extra children are $30 each) plus $40 for travel. 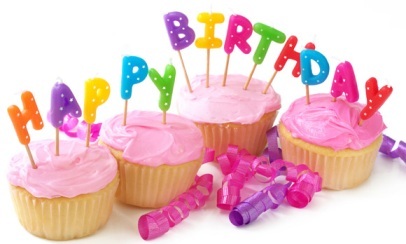 If you have a birthday coming up get in touch to discuss details. 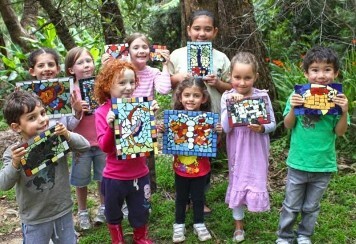 Making mosaics is a great activity for kids of all ages. It is an irresistible combination of fun and creativity. For little guys it exercises and improves co-ordination, teaches about colour and design and gives the kids a great sense of satisfaction when they see their masterpiece come to fruition. Drop the kids off or join them for a fun filled day of creativity. Thank you to everyone who voiced an interest in the specialist mirror class. I am still working on a couple of dates but am looking at 23rd and 30th of August. I will keep you posted. If you didn't let me know last time that you may be interested in this class then please send me an email so I can add you to my mailing list.